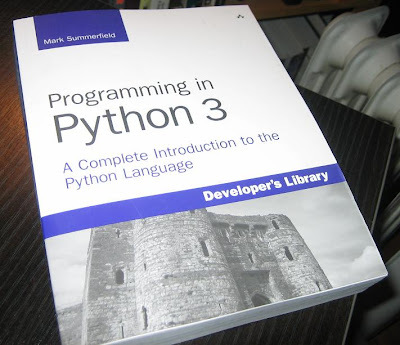 Finally got my hands on the brand new "Programming in Python 3 - A Complete Introduction to the Python Language". As far as I know, this is the first print book covering Python 3.0 (Python 3000). A quick skim looked promising. Update: I've read a good chunk of this book now, and it is excellent. It's very clearly written and all code examples are clean and follow nice conventions. It covers a wide variety of topics including all the important stuff in the language and standard library. This book would make a good mid level introductory book to the language, or as a good reference/refresher to a more experience Python hacker. I highly recommend picking this up.